When you wish upon a home, if you’re not dreaming of indoor slides or hanging swings in every room, you’re not dreaming big enough. 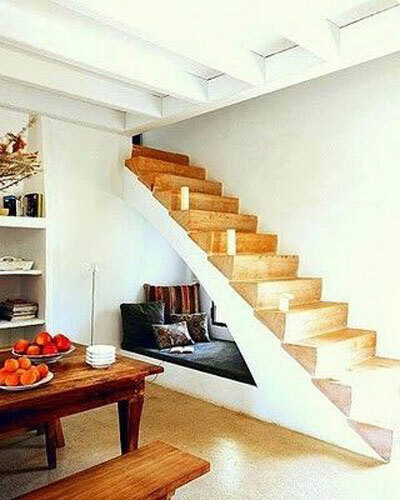 Here are 12 ridiculously fun items to add to your dream-home list. This is not just a slide, this is a new way of living and a new way of entertaining. Slide party, anyone? This is an actual table you can buy in real life, not a joke. 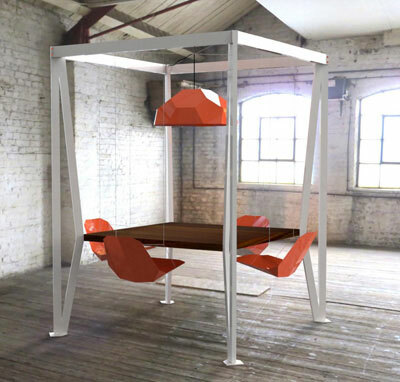 We don’t know any way to say this other than — holy smokes, that’s a swing table! Imagine the dinner parties with that thing. Sure, children are advertised utilizing these uber-cool indoor swings, but that doesn’t mean adults should be ashamed of wanting/purchasing/dreaming of these bad boys, too. We’re only human. There’s nothing quite as romantic as a hidden room full of books and cozy pillows and charm. 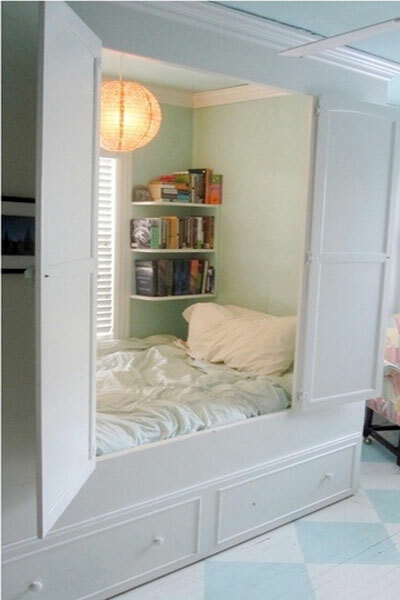 This teeny tiny nook with a bookshelf is bursting with all three and oh my, it’s lovely. 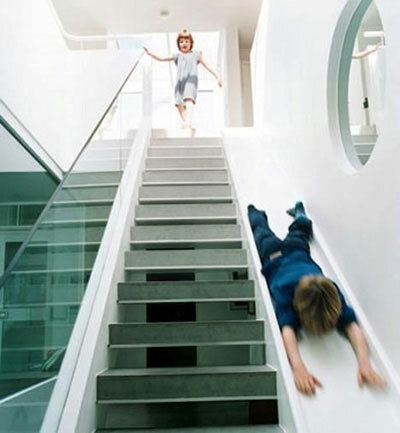 These kids have the right idea — take the slide instead of the stairs. Make it an event. Rock and roll all night. Party every day. 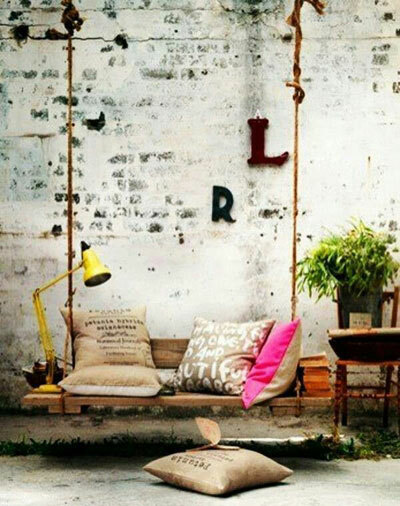 Add this bench, a few pillows and a potted plant to your home, and voilà! You have an indoor garden and an excuse to sit down and put your feet up every once in a while. 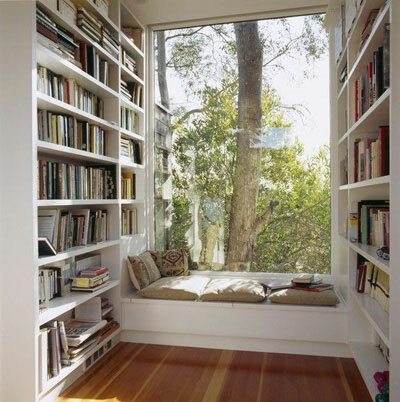 A brightly lit reading nook, sweeping views and piles and piles of books. Yes, this dream will do. 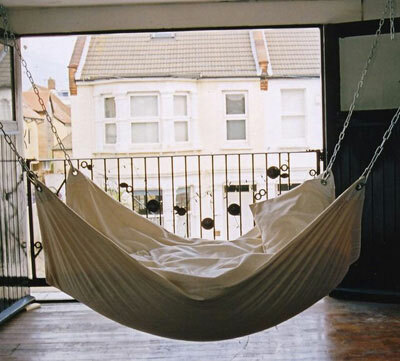 We’re thinking pineapple juice, we’re thinking happy music, we’re thinking naps every day on this indoor hammock swing of joy and delight. 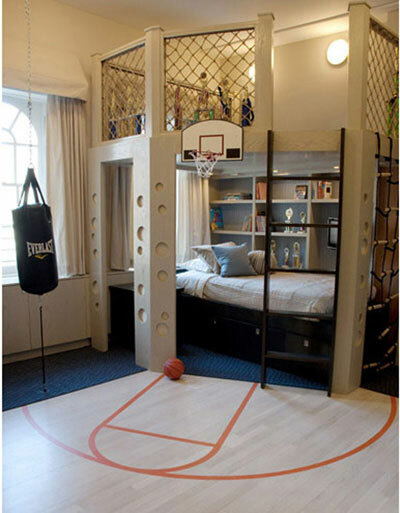 Whether or not you’re a sports fan, you have to admit that this basketball court room is… well… cool. There are no other words for it, unless we start going into ’90s slang, so we’ll stick with cool. No one should ever have to live in a Harry Potter cupboard under the stairs, but everyone should have the opportunity to sneak away to their own secret Harry Potter cupboard under the stairs and disappear for a while. 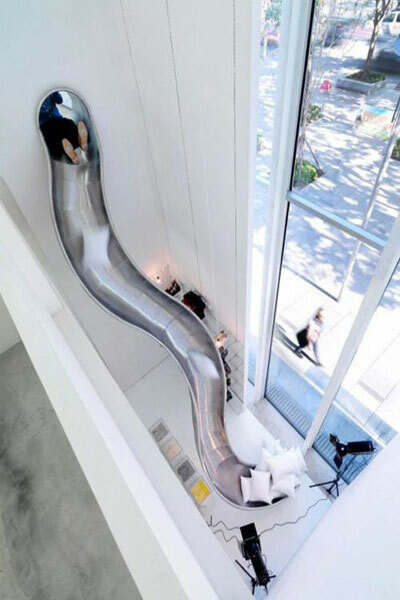 Another indoor slide, because we simply couldn’t pass this one up. It’s almost odd how natural this slide feels in this modern home, as if it were meant to be there always, as if we all were meant to have slides in our homes always. A hanging swing of magic and beautiful views. 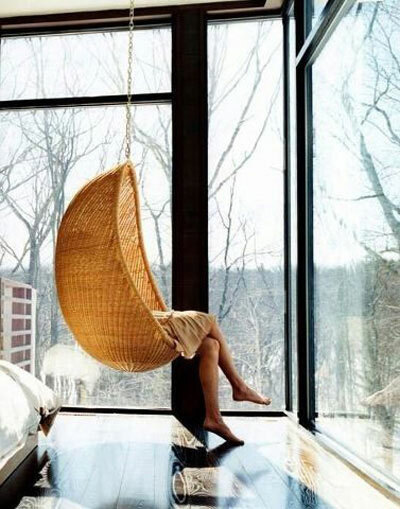 If our dream home has anything, it has a whole lot of places to nap in style.